ww2dbaseWinston Leonard Spencer-Churchill was born to politician Lord Randolph Churchill and daughter of a New York-based American businessman Jennie Jerome in Blenheim Palace, Woodstock, England, United Kingdom. His grandfather was a duke. After a rather lonely childhood at boarding school, his discouraging father thought he was but a mediocre student, and thought Churchill should pursue a career in the military rather than in academia, which Churchill readily agreed. Upon completing the Royal Military College at Sandhurst, he joined the Fourth Hussars regiment in 1895, the same year his father passed away from illness. He served in British colonies of India and Sudan, and spent a good deal of effort chasing down wars and battles (some as an observer, but he did see action in several). He left the British Army in 1899 and became a war correspondent for the Morning Post. Writing was something he enjoyed; by this time he had already published a number of books. ww2dbaseChurchill entered politics in 1899, but he failed to become elected that year. In 1900, following his father's footsteps, he joined the Conservative Party. In 1904, he switched his party affiliation and joined the Liberal Party. In 1906 he won the election for North West Manchester and became a member of the new Liberal government as the Under Secretary of State for the Colonies. Also in 1906, he published Lord Randolph Churchill, a two-volume biography of his father, which received critical acclaim. In 1908 he became President of the Board of Trade in Prime Minister Henry Campbell-Bannerman's cabinet. Then in 1910 he was named the Home Secretary. During his early political career, he was dedicated to reforms. In Oct 1911, his political career crossed path with his former military career once again when he became First Lord of the Admiralty; in this role he became an early proponent of naval aviation in Britain and used his influence to establish the Royal Naval Air Service and the Air Department at the Admiralty. He himself took flying lessons to show his enthusiasm, although this hobby would eventually be forbidden by his future wife due to its danger. He was also a key figure in the reconfiguration of the British naval forces, switching from the use of coal to oil, hence modernizing the fleet. To accompany this engineering reconfiguration, he was also instrumental in securing oil in Iraq for Britain. ww2dbaseIn 1904, Churchill met Clementine Hozier at a ball at the estate of the Earl of Crewe. In 1908, the two met again at a dinner party hosted by Susan Jeune, wife of the deceased judge Baron St Helier, and fell in love with each other. They would be married by the end of the year. Unlike so many others with power, he remained faithful to her for the remainder of his life. ww2dbaseChurchill always placed himself in the center of attention no matter what he did, which made him the successful politician that he was. In 1899, when he was still in his twenties, journalist G. W. Steevens met him on the sea-bound from India to Britain, and commented that Churchill might become, among other things, "the founder of a great advertising business." I do not understand this squeamishness about the use of gas. We have definitely adopted the position at the Peace Conference of arguing in favor of the retention of gas as a permanent method of warfare. It is sheer affectation to lacerate a man with the poisonous fragment of a bursting shell and to boggle at making his eyes water by means of lachrymatory gas. I am strongly in favor of using poisoned gas against uncivilized tribes. The moral effect should be so good that the loss of life should be reduced to a minimum. It is not necessary to use only the most deadly gases: gases can be used which cause great inconvenience and would spread a lively terror and yet would leave no serious permanent effects on most of those affected. ww2dbaseThe gas controversy possibly contributed to the Liberal Party's division and defeat in the 1922 General Election. ww2dbaseAs a consultant to Anglo-Iranian Oil Company, Churchill played a critical part in the early days of this company that would later become British Petroleum. Around this time, he picked up painting; for the remainder of his life, painting would continue to be a favored hobby and a release from the stresses of work. In 1924, Churchill joined the Conservative Party once again and returned to politics until 1929. During this time, in the high position of Chancellor of the Exchequer, he took the advice of the Governor of the Bank of England Montagu Norman and attempted to return Britain to the Gold Standard; it was a disaster that resulted in deflation and unemployment. This decision was later regarded by Churchill as one of the worst decisions he had made in his life. As the Chancellor of the Exchequer, the controller of the government's budget, he also limited the military expenditure, which reverted some of the progress he made at the Admiralty. Between 1929 and 1933, he focused mainly on his writings, though he continued to provide voice against a movement to grant India independence and the women's suffrage movement. A major work published during this time was The World Crisis, a six-volume work spanning across 1923 to 1931 on the First World War. "Magnificently written," praised William Manchester, "it is enhanced by the presence of the author at the highest councils of war and in the trenches as a battalion commander." "'After it', the British historian Robert Rhodes James writes, 'anything must appear as anticlimax.'" 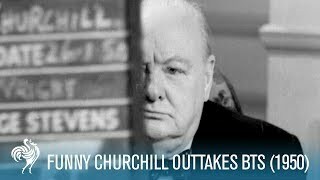 ww2dbaseChurchill's Assistant Personal Secretary John "Jock" Colville recalled Churchill being a very self-centered man. Once when he accompanied Churchill, Chancellor of the Exchequer, on one of Churchill's drives around London, they encountered a traffic back up due to construction in Croydon; Churchill thought it was perfectly alright for him to go around it by driving on the sidewalk. Born and raised a gentleman of the Victorian Era, he remained in such mindset for his entire life. He never stood in line at stores, preferring to send servants to so for him. He never cooked for himself; when he was once warned by his wife that the kitchen staff was not present, his response was "I can boil and egg. I've seen it done". Even his vocabulary remained with the bygone era, in which he would ask "is the coachman on his box" when wondering whether his automobile driver was ready to take him to his destination. His refusal to update his vocabulary affected his work as a holder of high office. He continued to call Istanbul by the older name of Constantinople years after the name change. In another example, his preference for the word "frigate" over "destroyer" caused concern from his secretaries when they were preparing a cable to US President Franklin Roosevelt requesting the United States to provide Britain "old frigates" for the war effort. ww2dbaseAs a writer with his background, his writings, whether short articles or research papers, fetched high prices, but his Chartwell mansion had a high upkeep. As a result, he actually lived from month-to-month, sometimes without adding savings to his bank accounts, which had also suffered dearly in the 1929 stock market crash. Although the mansion would prove to be a financial burden, it was also a source of delight for Churchill as he continuously improved it, even learning bricklaying in the process. At Chartwell, he entertained guests of high social statuses often, though to say he conversed with his guests was not the correct way to put it; most of the time at the dinner table Churchill, with his glass of champagne, did all the talking, whether it was politics, philosophy, history, or culture. The glass of champagne was not typically his first drink of the day. He tended to drink from early on in the day. Weak brandy and Scotch often accompanied him in the day time, and dinners were never complete until champagne or sometimes wine was served. Though he always had alcohol in his system, he was rarely drunk. "A single glass of champagne imparts a feeling of exhilaration. The nerves are braced; the imagination is stirred; the wits become more nimble", he said, though beyond the single glass the effect became that of a "comatose insensibility". As a writer, the most intense part of his work day did not start until perhaps ten in the evening. Ideas gathered throughout the day were processed in his head, with the addition of whatever his many research assistants turned up, and dictated to the typist on duty that evening. Churchill was not known to be a good employer to his assistants. He demanded perfection, and rarely complimented for jobs well done. Once a servant stood up to him after a series of mistreatment from Churchill, and Churchill said "[y]ou were very rude to me." The servant responded "[y]es, but you were rude, too." Churchill finally wrapped up by saying, matter of factly, "[y]es, but I am a great man!" This, of course, again reflected the previously noted self-centeredness. ww2dbaseIn 1933, Churchill became active in politics again. Later in the 1930s, he highly criticized Prime Minister Neville Chamberlain's appeasement policy regarding the increasingly demanding Adolf Hitler, while preaching that Britain should mobilize her military. In fact, Churchill had already been following Hitler's career closely. "[Churchill's] perception [on Hitler] was exceptional", said William Manchester, "an extraordinary number of his peers were completely hoodwinked." Meanwhile, Churchill had also laid the foundation of an exceptional spy network in Germany; his knowledge of Germany at this time surpasses that of the British Parliament simply because the Parliament did not wish to be bothered with all the military intelligence. One valuable source of Churchill's was Major Desmond Morton, who allowed Churchill to know of the German preparation to establish an air force, the Luftwaffe, long before Hitler revealed the new branch of military service to the public. He was not always perfect, of course. One of his biggest weaknesses, despite his intuitiveness of warfare on the strategic level, was his misconception on the tactical level. He foresaw the upcoming war as one that would continue to be fought in the trenches; he doubted that tanks "will ever again see the palmy days of 1918.... Nowadays the anti-tank rifle and the anti-tank gun have made such great strides that the poor tank cannot carry thick enough skin to stand up to them." Similarly, just like most military scientists in Britain at that time, he underestimated the usefulness of aircraft; the idea that small aircraft could sink well-armored capital ships was rather ridiculous to him. He commented that "even a single well-armed vessel will hold its own against aircraft." Because of this misunderstanding, he lobbied against the investment in the development and purchase of fighter aircraft, and instead he wanted to channel the funds into the army and the navy. Had his lobbying succeeded, the Battle of Britain would have been fought by the British at a significant disadvantage. Although one must also point out that despite his lack of support for research for new fighters, he did lobby for large investments in Britain's air defense systems that included the coastal radar system that were so critical in the eventual British victory in the Battle of Britain during the war. ww2dbaseAt this time, the common British sentiment was to allow Germany to regain its sense of national pride through rearmament, and when the aggression had been appeased, an international disarmament would then take place; many British politicians even viewed Germany as a strong ally to halt the Communist revolutionary expansion. Churchill knew that popular sentiment was wrong, and tried hard to sway the Parliament the other way. "If a dog makes a dash for my trousers," he said regarding to his wish for a pre-emptive strike against Germany, "I shoot him down before he can bite." He failed to influence his colleagues. One after the other, Austria, Memel region of Latvia, Sudetenland region of Czechoslovakia, and then the Bohemia and Moravia regions of Czechoslovakia were annexed by Germany by strong-arm diplomacy. It was after the dismemberment of Czechoslovakia that Churchill began to gather more support among the public. Within a month of Czechoslovakia's disappearance from atlases, Saturday Evening News called for Churchill's appointment into the cabinet, Sunday Pictorial informed him that 97% of 2400 responses from a recent news article on him agreed that he must be given a portfolio, and 375 professors representing every British university signed a letter to the Times "strongly urging" Churchill's appointment to an important cabinet post. By May 1939, the News Chronicle published a poll conducted by that newspaper about Churchill: 56% of those surveyed wanted him in the cabinet and only 26% opposed the idea. Despite public opinion, that did not happen until the war had already broken out. It was after the German invasion of Poland in Sep 1939 before he was appointed First Lord of the Admiralty. In Berlin, Germany, when Hermann Göring heard of this appointment, he knew that Britain's transformation from an appeaser to a fighter was on the horizon. He reported dropped into a chair heavily when he heard the news, and said "Churchill in the Cabinet. That means war is really on. Now we shall have war with England." Fully realizing that he was Germany's top public enemy, Churchill never left the Admiralty without a pistol and a suicide pill in his pen; he knew that if he was ever captured and interrogated by the Germans, the consequences would be catastrophic. ww2dbaseEven during this period, he did not stop writing. Writing was his passion. During the entire prelude to war in Europe, while knee-deep in intelligence reports from Germany, he was also spending hours upon hours researching and dictating his multi-volume work History of the English Speaking Peoples. "Writing a long and substantial book," he said later on in his life, "is like having a friend and companion at your side, to whom you can always turn for comfort and amusement, and whose society becomes more attractive as a new and widening field of interest is lighted in your mind." Writing such substantial books invigorated him instead of tiring him. It seemed as if unleashing his creative side gave him all the relaxation he needed from the intense politics of the late 1930s. Perhaps because of the contemporary European situation, his writings, including History of the English Speaking Peoples, focused largely on war. "It is very hard to transport oneself into the past when the future opens its jaws upon us", Churchill said. He wrote that the years between 1830 and 1860, when both Britain and United States made great strides forward in multiple areas of society, "thirty years when nothing happened." Industrial Revolution was similarly glanced over in a mere paragraph. Contrastingly, wars were described in great depth. "But that is how he saw life", said Manchester, "as a struggle between the forces of light and the powers of darkness.... Wars, to Winston, were of immense historic importance; like [Thomas] Carlyle and [Friedrich] Nietzsche, he believed that armed conflict was a natural state of man." ww2dbaseFive months after the war with Poland began, Churchill became the chairman of the Military Coordinating Committee. On 8 May 1940 Chamberlain resigned due to a lack of confidence in his government. King George VI had originally favored Lord Halifax as Chamberlain's successor, but Halifax chose not to pursue that position. Even as King George VI asked Churchill to form a new government on 19 May, the British monarch had reservations about someone who seemed too out-spoken and overly confident, especially when contrasting with his own timid personality. He was also wondered whether Churchill, who was close to his brother the Duke of Windsor the former King Edward VIII, would support the Duke instead of himself if the tense relations between the brothers ever escalated. As time went on, however, the king would be convinced that he had made the correct decision in Churchill. Upon becoming the next Prime Minister, Churchill made a statement which included one of the most famous quotes of the WW2-era. I would say to the House as I have said to those who have joined this Government: "I have nothing to offer but blood, toil, tears, and sweat." You ask, what is our policy? I will say: it is to wage war, by sea, land, and air, with all our might and with all the strength God can give us. That is our policy. You ask, what is our aim? I can answer in one word: it is victory, victory at all costs, victory in spite of all terror, victory however long and hard the road may be; for without victory, there is no survival. ww2dbaseAn inspirational leader, he seemed to typify Britain's courage and perseverance in adversity and its conservatism in success. He was a man of extraordinarily strong convictions and a master in argument and debate. Completely devoted to winning the war and discharging his responsibility as Prime Minister of Great Britain, he was difficult indeed to combat when conviction compelled disagreement with his views. In most cases problems were solved on a basis of almost instant agreement, but intermittently important issues arose where this was far from true. He could become intensely oratorical, even in discussion with a single person, but at the same time his intensity of purpose, made his delivery seem natural and appropriate. He used humor and pathos with equal facility, and drew on everything from the Greek classics to Donald Duck for quotation, cliché, and forceful slang to support his position. ww2dbaseI admired and liked him. ww2dbaseOf course, the working relationship between Churchill and Eisenhower was not without disagreement. One such episodes occurred when Operation Neptune, a naval component of the Jun 1944 Allied invasion of Normandie, France, was about to be launched. Churchill requested to accompany the landing operations; the request was naturally denied immediately by Eisenhower. Churchill responded with his intent to overrule Eisenhower. "Since this is true it is not part of your responsibility, my dear General, to determine the exact composition of any ship's company in His Majesty's Fleet", he said to Eisenhower, "by shipping myself as a bona fide member of a ship's complement it would be beyond your authority to prevent my going." Eisenhower expressed that this would unnecessarily add to his personal burden, but the Prime Minister refused to budge. When King George VI heard of it, he cleverly noted that if Churchill felt compelled to accompany the landing force, then he, as the head of state of the United Kingdom, should share equal duty and privilege of leading the British and Commonwealth troops as well. After these comments were made known to Churchill, Churchill discontinued his request to personally lead the landing forces. Conservation of energy. Never stand up when you can sit down. Never sit down when you can lie down. ww2dbaseChurchill lost his position in the 1945 General Election. In Mar 1946, he made his famous Iron Curtain speech at Westminster College in Fulton, Missouri, United States. He suffered a stroke in Aug 1946 but continued to lead the Conservative Party by hiding his health condition from the public. He returned to the seat of Prime Minister once again in 1951, this time elected by the people, a fact that he was very proud of. His health continued to spiral downwards slowly, however, ultimately leading to his retirement on 5 Apr 1955. Some notable events he faced during this term as Prime Minister include the US-Britain backed coup under Fazlollah Zahedi in Iran, the Mau-Mau Rebellion in Kenya, the continuing rebellion against British rule in Malaysia, and the decision for Britain to begin building its hydrogen bomb arsenal. He also attempted to work with Eisenhower, by this time the US President, to hold a high level meeting involving the leaders of the United States, United Kingdom, and the Soviet Union in hopes of a peaceful future, but much to Churchill's frustration Eisenhower did not agree with Churchill's approach. In 1953, Churchill received the Nobel Prize of Literature in 1953 for his six-volume The Second World War; in the same year, he was also made a Knight of the Garter. He had previously been nominated by knighthood under the reign of King George VI, but the law at the time gave the Prime Minister the final say, and he rejected his own honor; by this time, such a law had been repealed, and Queen Elizabeth II's nomination stood firm. Sir Winston Churchill, KG was further offered dukedom in 1955, potentially making him the first Duke of London, but this honor he could, and did, decline. ww2dbaseIn the morning of 24 Jan 1965, Churchill stared into the mirror and told Colville "today is the 24th of January. It is the day my father died. It is the day I shall die, too." His prediction would come true, for he would suffer a severe and fatal cerebral thrombosis hours later. In 2002, a poll conducted by the British Broadcasting Corporation (BBC) found him to be "the greatest" figure in British history. "I cannot forecast to you the action of Russia. It is a riddle wrapped in a mystery inside an enigma." "Singapore... could only be taken after a siege by an army of at least 50,000 men... its not considered possible that the Japanese...would embark on such a mad enterprise"
"You ask, what is our policy? I can say: It is to wage war, by sea, land and air, with all our might and with all the strength that God can give us: to wage war against a monstrous tyranny, never surpassed in the dark, lamentable catalogue of human crime. That is our policy. You ask, what is our aim? I can answer in one word: It is victory, victory at all costs, victory in spite of all terror, victory, however long and hard the road may be; for without victory, there is no survival." "We must be very careful not to assign to this deliverance the attributes of a victory. War's are not won by evacuations." "We shall go on to the end, we shall fight in France, we shall fight on the seas and oceans, we shall fight with growing confidence and growing strength in the air, we shall defend our Island, whatever the cost may be, we shall fight on the beaches, we shall fight on the landing grounds, we shall fight in the fields and in the streets, we shall fight in the hills; we shall never surrender, and even if, which I do not for a moment believe, this Island or a large part of it were subjugated and starving, then our Empire beyond the seas, armed and guarded by the British Fleet, would carry on the struggle, until, in God's good time, the New World, with all its power and might, steps forth to the rescue and the liberation of the Old." "Upon this battle depends the survival of Christian civilisation. Upon it depends our own British life and the long continuity of our institutions and our Empire. The whole fury and might of the enemy must very soon be turned on us now. Hitler knows that he will have to break us in this island or lose the war. If we can stand up to him, all Europe may be free and the life of the world may move forward into broad, sunlit uplands. But if we fail, then the whole world, including the United States, including all that we have known and cared for, will sink into the abyss of a new Dark Age, made more sinister, and perhaps more protracted, by the lights of perverted science. Let us therefore brace ourselves to our duties, and so bear ourselves that, if the British Empire and its Commonwealth last for a thousand years, men will still say, 'This was their finest hour.'" "The gratitude of every home in our Island, in our Empire, and indeed throughout the world, except in the abodes of the guilty, goes out to the British airmen who, undaunted by odds, unwearied in their constant challenge and mortal danger, are turning the tide of the World War by their prowess and by their devotion. Never in the field of human conflict was so much owed by so many to so few. All hearts go out to the fighter pilots, whose brilliant actions we see with our own eyes day after day; but we must never forget that all the time, night after night, month after month, our bomber squadrons travel far into Germany, find their targets in the darkness by the highest navigational skill, aim their attacks, often under the heaviest fire, often with serious loss, with deliberate careful discrimination, and inflict shattering blows upon the whole of the technical and war-making structure of the Nazi power." "Here is the answer which I will give to President Roosevelt: Put your confidence in us.... We shall not fail or falter; we shall not weaken or tire. Neither the sudden shock of battle, nor the long-drawn trials of vigilance and exertion will wear us down. Give us the tools and we will finish the job." "Hitler is a monster of wickedness, insatiable in his lust for blood and plunder. Not content with having all Europe under his heel, or else terrorised into various forms of abject submission, he must now carry his work of butchery and desolation among the vast multitudes of Russia and of Asia. The terrible military machine - which we and the rest of the civilised world so foolishly, so supinely, so insensately allowed the Nazi gangsters to build up year by year from almost nothing - cannot stand idle lest it rust or fall to pieces.... So now this bloodthirsty guttersnipe must launch his mechanized armies upon new fields of slaughter, pillage and devastation." "Never give in - never, never, never, never, in nothing great or small, large or petty, never give in except to convictions of honour and good sense. Never yield to force; never yield to the apparently overwhelming might of the enemy." "The most dangerous moment of the War, and the one which caused me the greatest alarm, was when the Japanese Fleet was heading for Ceylon and the naval base there. The capture of Ceylon, the consequent control of the Indian Ocean, and the possibility at the same time of a German conquest of Egypt would have closed the ring and the future would have been black." "It was an experience of great interest to me to meet Premier Stalin.... It is very fortunate for Russia in her agony to have this great rugged war chief at her head. He is a man of massive outstanding personality, suited to the sombre and stormy times in which his life has been cast; a man of inexhaustible courage and will-power and a man direct and even blunt in speech, which, having been brought up in the House of Commons, I do not mind at all, especially when I have something to say of my own. Above all, he is a man with that saving sense of humour which is of high importance to all men and all nations, but particularly to great men and great nations. Stalin also left upon me the impression of a deep, cool wisdom and a complete absence of illusions of any kind. I believe I made him feel that we were good and faithful comrades in this war - but that, after all, is a matter which deeds not words will prove." "I have not become the King?s First Minister in order to preside over the liquidation of the British Empire." "The object of presenting medals, stars, and ribbons is to give pride and pleasure to those who have deserved them. At the same time a distinction is something which everybody does not possess. If all have it it is of less value.... A medal glitters, but it also casts a shadow." "I have left the obvious, essential fact to this point, namely, that it is the Russian Armies who have done the main work in tearing the guts out of the German army. In the air and on the oceans we could maintain our place, but there was no force in the world which could have been called into being, except after several more years, that would have been able to maul and break the German army unless it had been subjected to the terrible slaughter and manhandling that has fallen to it through the strength of the Russian Soviet Armies." "The very first thing the President did was to show me the new Presidential Seal, which he had just redesigned. He explained, 'The seal has to go everywhere the President goes. It must be displayed upon the lectern when he speaks. The eagle used to face the arrows but I have re-designed it so that it now faces the olive branches? what do you think?' I said, 'Mr. President, with the greatest respect, I would prefer the American eagle's neck to be on a swivel so that it could face the olive branches or the arrows, as the occasion might demand.'" "There is less there than meets the eye." 30 Nov 1874 Winston Churchill was born in the Blenheim Palace at Woodstock, Oxfordshire, England, United Kingdom. 24 Jan 1895 Winston Churchill's father, Lord Randolph Churchill, passed away at the age of 45. 2 Jan 1906 Winston Churchill published a two-volume biography of his father Lord Randolph Churchill. 10 Aug 1908 Winston Churchill and Clementine Hozier became engaged at the Churchill home of Blenheim Palace, Woodstock, England, United Kingdom. 12 Sep 1908 Winston Churchill married Clementine Hozier at the Church of St Margaret, Westminster Abbey, London, England, United Kingdom. 22 Feb 1915 Winston Churchill established the Landships Committee to investigate the potential of armored vehicles. 15 Dec 1924 In a letter to Stanley Baldwin, Winston Churchill noted that there was no need to worry about Japan in their lifetime. 13 Dec 1931 While visiting New York City in the United States, Winston Churchill was struck by a car as he crossed the street, having looked the wrong way as he crossed. He suffered injuries to the head but would recover fully. 24 Oct 1933 Following Germany's withdrawal from the League of Nations and the International Disarmament Conference 10 days earlier, British Member of Parliament Winston Churchill gave an outspoken warning to the Parliament highlighting the dangers to peace posed by the growth of German military aviation. 28 Nov 1934 Winston Churchill warned the House of Commons that should Britain be attacked by hostile forces from the air, as many as 40,000 Londoners would be lost in the first week of war. 12 Nov 1936 During a debate in the House of Commons, Winston Churchill attacked the British government for its slow progress on rearmament. 3 Sep 1939 British Member of Parliament Winston Churchill became the First Lord of the Admiralty, a post he had held during the Great War. 24 Sep 1939 Winston Churchill noted that the past three weeks since the European War had begun had been the longest he had ever lived. 9 Feb 1940 Winston Churchill made a radio broadcast to warn Bulgaria against joining the Tripartite Pact. 30 Mar 1940 Winston Churchill acknowledged Soviet neutrality in the European War. 3 Apr 1940 Winston Churchill was appointed to chair a committee for war policy in Neville Chamberlain's cabinet. 4 Apr 1940 Winston Churchill traveled to Paris, France to persuade the French on a plan to mine Norwegian waters. Unable to convince French leadership to mine the Rhine River at the same time, Churchill decided that the British would mine Norwegian waters without French cooperation. 10 May 1940 British Prime Minister Neville Chamberlain had decided overnight to resign from this post, but the news of the German invasion of France and the Low Countries gave him second thoughts. Nevertheless, he decided to continue his plan to resign. Later in the day, Winston Churchill was asked to assume the post left vacant by Chamberlain. 12 May 1940 Winston Churchill appointed the newly created Viscount Simon (former Sir John Simon) to the post of Lord High Chancellor, the Chief Law Officer to the Government, succeeding the Viscount Caldecote. 13 May 1940 UK Prime Minister Churchill made the famous "Blood, Sweat, Tears, and Toil" speech. 13 May 1940 Winston Churchill appointed Leo Amery as Secretary of State for India and Burma. 14 May 1940 Winston Churchill told American Ambassador to the United Kingdom Joseph Kennedy that even if Britain was to be conquered by Germany, the British government would continue the fight from Canada with the Royal Navy. 15 May 1940 Winston Churchill sent a message to Franklin Roosevelt, asking for 40 to 50 destroyers, hundreds of fighters, anti-aircraft guns, steel, among other war-related materials. He also asked the US President to order a visit by US Navy warships to Ireland as a show of force. In regards to the situation in the Pacific Ocean, he requests Roosevelt to intimidate the Japanese, offering the Americans the use of Singapore if deemed necessary. 16 May 1940 British Prime Minister Winston Churchill flew to Paris, France to meet with his French counterpart Paul Reynaud; witnessing the burning of government archives, he inquired about the strategic reserve, and received the answer "Aucune" ("There is none"). On the same day, Churchill also sent his Italian counterpart Benito Mussolini a message, urging him to keep Italy out of the European War. 18 May 1940 British Prime Minister Churchill sent a telegram to US President Roosevelt, noting "if American assistance is to play any part it must be available [soon]." 20 May 1940 British Prime Minister Churchill sent a telegram to US President Roosevelt, again requesting for destroyers; "If they were here in 6 weeks, they would play an invaluable part." 31 May 1940 UK Prime Minister Churchill traveled to Paris, France for a Supreme Allied War Council meeting. 3 Jun 1940 Winston Churchill ordered the formation of commando units for raiding occupied Europe. 4 Jun 1940 Churchill delivered the "We shall never surrender" speech to House of Commons. 10 Jun 1940 Winston Churchill dismissed Major General Vernon Kell and appointed his deputy, Brigadier Oswald Harker, as Director-General of the Security Service (MI5). 11 Jun 1940 British Prime Minister Churchill sent a telegram to US President Roosevelt urging the US to send more destroyers to the United Kingdom especially in light of the Italian entry into the European War. 15 Jun 1940 British Prime Minister Churchill sent a telegram to US President Roosevelt to again request destroyers, noting that the United Kingdom would carry on the struggle "whatever the odds... but it may well be beyond our resources unless we receive every reinforcement and particularly do we need this reinforcement on the sea". 17 Jun 1940 Winston Churchill announced to the British people that the United Kingdom would continue to fight until Adolf Hitler was removed from power. 18 Jun 1940 British Prime Minister Winston Churchill made the "the Battle of France is over... I expect that the Battle of Britain is about to begin" speech before the House of Commons. "Let us therefore brace ourselves to our duties, and so bear ourselves that, if the British Empire and its Commonwealth last for a thousand years, men will still say, 'This was their finest hour'." On the same day, Churchill wrote to the Commander-in-Chief Home Forces asking for ideas for the creation of "Storm Troops" to be "ready to spring at the throat of any small landing or descent"; secretly he intended to use such a force as the basis for Commando raids on the continent. 1 Jul 1940 Winston Churchill recorded in his diary that during a meeting with the US Ambassador, Joseph Kennedy had stated that Britain was beaten and that Adolf Hitler would be in London by the 15th of August. 4 Jul 1940 Winston Churchill received his first standing ovation in the House of Commons as the Prime Minister of the United Kingdom after delivering a speech justifying the attack on French warships. 19 Jul 1940 Prime Minister Winston Churchill made a proposal to the British War Cabinet suggesting the creation of Special Operations Executive (SOE) to conduct unscrupulous, underhand methods to be pursued against Germany. 31 Jul 1940 American ambassador in London, England, United Kingdom Joseph Kennedy relayed to US Secretary of State Cordell Hull another request from British Prime Minister Winston Churchill for destroyers. "If we cannot get reinforcement," Churchill noted, "the whole fate of the war may be decided by this minor and easily remediable factor." 15 Aug 1940 British Prime Minister Churchill responded to US President Roosevelt's telegram of 13 Aug 1940 regarding the offer of destroyers, noting "moral value of this fresh aid from your Government and your people at this critical time will be very great and widely felt." 20 Aug 1940 British Prime Minister Winston Churchill made the "Never in the field of human conflict was so much owed by so many to so few" speech in the House of Commons in London, England, United Kingdom. 22 Aug 1940 Winston Churchill visited RAF Kenley in southern London, England, United Kingdom. 11 Sep 1940 Winston Churchill noted that the coming week was to be dangerous as intelligence showed a German amphibious invasion was about to be launched. 9 Oct 1940 Winston Churchill became the head of British Conservative Party. 9 Nov 1940 Winston Churchill moved his weekend retreat to discrete Ditchley Hall, near Charlbury in Oxfordshire, England, United Kingdom as a precaution against a possible German assassination attack on the Prime Ministers' official retreat at Chequers, Buckinghamshire, or on his home at Chartwell House in Westerham, Kent. 10 Jan 1941 British Prime Minister, Winston Churchill, received confirmation from intercepts of German signals, decrypted at Bletchley Park, that the German build-up in Romania formed a grave threat to Greece. He promptly ordered draft contingency plans for the commitment of a British expeditionary force to the Greek mainland. 10 Feb 1941 British Prime Minister Churchill ordered General Wavell to prioritize the campaign in Greece over that in North Africa. 20 Feb 1941 Australian Prime Minister Robert Menzies arrived in Britain for talks with Winston Churchill. 12 Mar 1941 Winston Churchill thanked the US for "a new Magna Carta", referring to the Lend-Lease Act signed into law on the previous day. 16 Jun 1941 Winston Churchill received an honorary degree from the Rochester University in New York, United States. In his radio address shortly after receiving this degree, he urged the American people to join the Allies in the fight against Germany. 20 Jul 1941 In a broadcast to the people of occupied Europe, Prime Minister Winston Churchill inaugurated the "V" (for victory) campaign. 6 Sep 1941 Winston Churchill visited the Government Code and Cypher School at Bletchley Park in Milton Keynes, Buckinghamshire, England, United Kingdom. 29 Oct 1941 Winston Churchill visited the Harrow School in London, England, United Kingdom, which he attended in his younger days. In a speech there, he gave the advice "Never yield to force; never yield to the apparently overwhelming might of the enemy." 2 Dec 1941 British Prime Minister Churchill's new National Service Bill included compulsory service for women. 7 Dec 1941 Winston Churchill had lunch with Duchess of Marlborough Alexandra Mary Cadogan and her son Marquess of Blandford John Spencer-Churchill. He had dinner with US Ambassador John Gilbert Winant and W. Averell Harriman; after dinner, they learned of the Japanese raid on Pearl Harbor in the US Territory of Hawaii. He would later write that he "slept the sleep of the saved and thankful", relieved that the United States was finally in the war, and Britain was no longer alone. 24 Dec 1941 Winston Churchill broadcasted a Christmas Eve message over radio, wishing for one evening of happiness throughout the English-speaking world during this time of global conflict. 30 Dec 1941 Winston Churchill spoke to the Canadian Parliament. 16 Jan 1942 Winston Churchill, Dudley Pound, and Charles Portal departed Bermuda for Britain by air (Boeing 314 Clipper Flying Boat "Berwick", operated by the British Overseas Airways Corporation). 17 Jan 1942 The Boeing 314 Clipper Flying Boat "Berwick" with Winston Churchill aboard suffered a navigational error and would have flown into France had not been a last minute course correction. When the aircraft approached Britain from the south, the aircraft was initially treated as hostile and six Hurricane fighters were scrambled to intercept; the fighters failed to locate Churchill's transport. 29 Jan 1942 Winston Churchill won a vote of confidence 464-1 in the House of Commons of the British Parliament; Independent Labour Party leader James Maxton cast the only vote against Churchill. 26 Mar 1942 Winston Churchill told politicians of the rival Conservative Party 'It now seems very likely that we and our allies cannot lose this war, except through our own fault'. 23 Apr 1942 In a secret session of the British House of Commons, Churchill delivered a speech declaring that the liberation of Europe was "the main war plan" of Britain and the United States. 28 May 1942 Winston Churchill despatched Lord Louis Mountbatten, the British Chief of Combined Operations, to Washington DC, United States to persuade the Americans that an invasion across the English Channel into occupied France would, at this time, only lead to disaster. As an alternative he proposed an Anglo-American landing in French North Africa later in the year. Mountbatten was authorised to tell the Americans that Great Britain would only agree to a 1942 attack across the Channel if the Soviets were to be in immediate danger of surrendering. 25 Jun 1942 In the Palace of Westminster in London, England, United Kingdom, Winston Churchill's critics, led by Sir John Wardlaw-Milne, embarked on a vote on no-confidence in the Prime Minister. 2 Jul 1942 Churchill easily passed a "no confidence" vote in the House of Commons; there were 475 votes in his favor compared to 25 against. 17 Jul 1942 Winston Churchill warned Joseph Stalin that, in the aftermath of the convoy PQ-17 disaster, no further convoy missions were in the plans for northern Russia in the foreseeable future. 4 Aug 1942 Winston Churchill arrived at Cairo, Egypt. 5 Aug 1942 Winston Churchill and Claude Auchinleck inspected the front lines at El Alamein, Egypt. 6 Aug 1942 While in Egypt, Winston Churchill decided to replace Claude Auchinleck with William Gott as the head of the British 8th Army and with Harold Alexander as the Commander-in-Chief Middle East. Churchill also separated Iraq and Iran from Middle East into a new command area; when offered command of Iraq-Iran, Auchinleck refused. 10 Aug 1942 British Prime Minister Winston Churchill, accompanied by Generals Archibald Wavell and Alan Brooke, flew to Moscow, Russia to inform the Soviets of the Anglo-American decision to abandon Operation Sledgehammer in favour of Operation Torch. 17 Aug 1942 Winston Churchill arrived at Cairo, Egypt. 12 Oct 1942 Winston Churchill was presented at Edinburgh, Scotland, United Kingdom with the Freedom of the City. 29 Oct 1942 Leading British religious and political figures held a public meeting to voice their outrage at the Nazi German treatment of Jews. 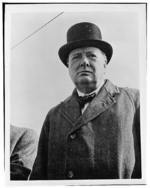 British Prime Minister Winston Churchill sent a message to the meeting, denouncing the German "vile crimes". 6 Nov 1942 "Ring out the bells", General Harold Alexander signalled Prime Minister Winston Churchill, "Prisoners estimated now 20,000, tanks 350, guns 400, MT several thousand. Our mobile forces are south of Mersa Matruh. Eighth Army is advancing." Churchill did not in fact ring the bells until nine days later, when he knew that the landings in North West Africa were also going well, but when he did it was to celebrate Bernard Montgomery's victory at El Alamein, Egypt, not the later landings. 10 Nov 1942 British Prime Minister Churchill said, in a speech, "[n]ow this is not the end. It is not even the beginning of the end. But it is, perhaps, the end of the beginning." 4 Feb 1943 Winston Churchill visited Tripoli, Libya and inspected British 8th Army. 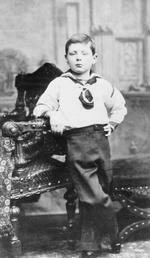 22 Feb 1943 Winston Churchill was said to be "on the mend" after a severe fever. 20 Mar 1943 Churchill's post war plans, broadcasted over radio, was criticized as very socialist. 19 Jul 1943 Winston Churchill suggested using icebergs as floating airfields. 9 Aug 1943 Winston Churchill arrived at Halifax, Nova Scotia, Canada aboard the passenger liner Queen Mary. 10 Aug 1943 Winston Churchill arrived at Hyde Park, New York, United States to visit Franklin Roosevelt. 2 Oct 1943 Winston Churchill cabled Chiang Kaishek, informing the Chinese leader that Louis Mountbatten would soon be dispatched to Chinese to discuss an Anglo-American-Chinese joint offensive against Japanese forces in Burma. This followed another message dated 23 Sep 1943 from King George VI regarding the same topic. 21 Nov 1943 Winston Churchill met with Chiang Kaishek for the first time in Cairo, Egypt. In the evening, he dined with Alan Brooke, Charles Portal, John Dill, Sholto Douglas, and Louis Mountbatten. 12 Jan 1944 Churchill and de Gaulle met at Marrakesh, Morocco. 1 May 1944 The first Commonwealth Prime Ministers' Conference began and would last until 16 May. British Prime Minister Winston Churchill, Australian Prime Minister John Curtin, New Zealand Prime Minister Peter Fraser, Canadian Prime Minister Mackenzie King, and South African Prime Minister Jan Smuts were in attendance. They would agree to support the Moscow Declaration and reached agreement regarding their respective roles in the overall Allied war effort. 18 Jun 1944 Winston Churchill impressed on Dwight Eisenhower that there must be no change of plans as a result of the V-1 attacks; London and the South-east would endure the bombardment as long as was necessary. 8 Aug 1944 Winston Churchill, Alan Brooke, Louis Mountbatten, Clement Attlee, Anthony Eden, Oliver Lyttelton, and Albert Wedemeyer met in London, England, United Kingdom to discuss the future direction of war efforts in southeastern Asia. 19 Sep 1944 Winston Churchill departed Hyde Park, New York, United States for nearby New York City, where he was to begin his journey back to Britain. 28 Sep 1944 During a speech in the House of Commons, Winston Churchill condemned Bulgaria, reminding the members that Bulgarians have been responsible for many war crimes in Greece and Yugoslavia, and that (as far as Great Britain was concerned) they were not welcome as co-belligerents, until they demonstrate atonement for their former misdeeds. 18 Jan 1945 Prime Minister Winston Churchill, in a speech before the House of Commons, announced that "US troops have done almost all the fighting (in the Ardennes) suffering losses equal to those of both sides at the Battler of Gettysburg". This was interpreted by many as a direct and insulting attack on the abilities of Bernard Montgomery and the British fighting forces in Europe. 25 Mar 1945 Winston Churchill, accompanied by Field Marshal Bernard Montgomery, crossed the Rhine River in Germany, visiting HQ 21st Army Group and delivered a characteristic message to officers and men. 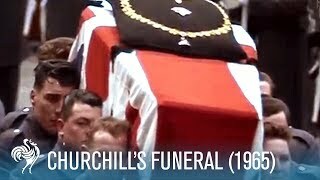 17 Apr 1945 In an address to the House of Commons, British Prime Minister Winston Churchill paid tribute to the late US President Franklin Roosevelt concluding with "in Franklin Roosevelt there died the greatest American friend we have ever known, and the greatest champion of freedom who has ever brought help and comfort from the new world to the old." 2 May 1945 In a report to the House of Commons the British Prime Minister Winston Churchill announced the unconditional surrender of the German land, sea and air forces, commanded by Colonel-General Heinrich von Wietinghof-Scheel, Commander-in Chief South-West Command and Commander-in Chief of Army Group C. The instrument of surrender signed at the Allied Forces Headquarters at Caserta on Sunday afternoon, 29 Apr 1945, by two German plenipotentiaries and Lieutenant-General W. D. Morgan, Chief of Staff at Allied Forces Headquarters would see the surrender of all German forces in Northern Italy to the Isonzo River, in the North-East, and the Austrian provinces of Salzburg, Vorarlberg, anf the Tyrol plus portions of Carinthia and Styria, Hostilities would end at 12 o'clock GMT on Wednesday, 2 May 1945. 23 May 1945 In Westminster, London, England, United Kingdom, British Prime Minister Churchill resigned and formed a caretaker administration in which the Labour Party refused to serve. 16 Jul 1945 Churchill arrived in Berlin, Germany for the Potsdam Conference and visited the bunker where Hitler committed suicide. 21 Jul 1945 British Prime Minister Winston Churchill took the salute at a parade of the 7th Armoured Division through the Charlottenburger Chaussee in Berlin, Germany. This was a great honour to the "Desert Rats" who had fought all the way from El Alamein, Egypt to the German capital. 26 Jul 1945 The results of the 5 Jul 1945 election in the United Kingdom was revealed, yielding a Labour Party victory over Winston Churchill's Conservative Party, 394 seats to 188 seats. As Churchill prepared to be replaced by Clement Attlee, many of his war time ministers had also lost their seats, including Air Minister (and later Prime Minister) Harold Macmillan. Throughout the world, there was much sympathy for the great wartime leader. The New York Daily News called him "The greatest Englishman of his time and one of the greatest of all time". 16 Aug 1945 Winston Churchill delivered an address warning of the communist "iron curtain" dividing Eastern and Western Europe. 5 Mar 1946 Winston Churchill gave the "Iron Curtain" speech at Fulton College (now Westminster College), Missouri, United States. 23 Jun 1953 Winston Churchill suffered a stroke in the evening at 10 Downing Street, London, England, United Kingdom. 1 Mar 1955 Winston Churchill made "The Deterrent - Nuclear Warfare" speech before the House of Commons of the British Parliament. It was to be his last major speech at the House of Commons. 27 Jul 1964 Winston Churchill visited the House of Commons of the Parliament of the United Kingdom for the last time. 15 Jan 1965 Winston Churchill suffered a stroke, which caused a severe cerebral thrombosis. 24 Jan 1965 Winston Churchill passed away at his home in London, England, United Kingdom shortly after 0800 hours. 30 Jan 1965 A state funeral was held for Winston Churchill. 9 Feb 1965 Winston Churchill's estate was probated at £304,044. He is even probably the greatest man of the 20th century. Time magazine named him man Man of the Half-Century, but failed to make him Person of the Century probably because the believed that he was too political incorrect. Edit: I forgot too congraulate you, C. Peter Chen with a great article. "...and the continuing rebellion against British rule in Malaysia." - Nonsense! The Malaya conflict (1948-1960) was fought against Chinese backed Communist Guerrillas. It was nothing at all to do with a Rebellion against British Rule. Malaya became a free and independent member of the British Commonwealth in 1957. "V" for victory was the idea of a Belgian refugee in London, named Victor De Laveleue he urged his countrymen to chauk the letter "V" in all public places. 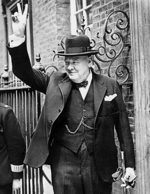 Winston Churchill also used the two-finger "V" sign for victory. Millions of listeners in occupied Europe and at great risk to themselves listened to the BBC British Broadcasting Corporation. The program was introduced by the first measure of Beethoven's Fifth Symphony the three dots, and three dashes for Victory. In Hollyword many movie producers, would use the fifth symphony's dots and dashes in many of its W.W.II movies. Churchill did not sleep well, but when he learned of the United States entry into World War II, Churchill for the first time slept, knowing victory was asured. Iron Curtain: A western term referring to the boundary that divided Europe into two seperate Political and Military Alliances, from the end of the Second World War to the end of the Cold War. Bamboo Curtain: A vairant of the Iron Curtain is a reference to the People's Republic of China (Communist China), as a standoff between the West and the countries of the Bamboo and Iron Curtains. "From Stettin in the Baltic to Trieste in the Adricate an "Iron Curtain" has descended across the Continent. Behind that line all the Capitols of the ancient states of Central and Eastern Europe Warsaw, Berlin, Prague, Vienna, Budapest, Belgrade, Bucharest and Sofia, all these famous cities and populations around them lie in what I must call the Soviet sphere and all are subject, in one form or another, not only to Soviet influence, but to a very high and in some cases increasing measure of control from Moscow." -Winston Churchill- Westminister College in Fulton, Missouri March 5, 1946 Note* The Iron Curtain metaphor was inappropriate in several states, including Finland, Austria West Berlin and to some extent Yugoslavia which from the late 1950's partially relaxed the probibition of movement across the border with Italy. The Iron Curtain served to keep people in and information out, and the metaphor eventually had wide acceptance in the West.. Joseph Goebbel's used the term: Iron Curtain in Anti-Soviet propaganda. He would have made a fine American!! In my opinion he was the most important man of the 20th century. This is a very useful site, thank you. Churchill was a good writer, and through the eyes of many Brits he was seen as a vocal, articulate statesman. Many others around the world, though; myself, included, clearly understand Churchill was the quintessential EXTROVERTED, ARROGANT, EGOTISTICAL politician that "sold" the Baltic States after World War II. His distain for persons of Eastern and Southern Europe is Legendary! Many, many around the world hold this identical viewpoint. Ask the Royal Family to liquidate the family-jewels so we, here in the USA, may receive payment for the astronomical cost in lives, weaponry, and currency provided (at least) during World War II. Churchill did not resign after the vote of May 8, 1940. In fact, he supported Chamberlain during the debate and, even after it, he encouraged him to stay in the job. This is but one of many inaccuracies in this article. It is amateurish. Terry: Read the article. It does not say Churchill resigned after the vote of May 8, 1940. It says Chamberlain resigned May 8, 1940, which he did.